When you’ve been told there’s something abnormal with your child’s heart, just about the only thing you’re thinking about is finding out the cause of the abnormality and treating it as soon as possible. There is a multitude of heart-related medical tests to narrow down possible ailments, but one of the least invasive and effective procedures is called an echocardiogram. 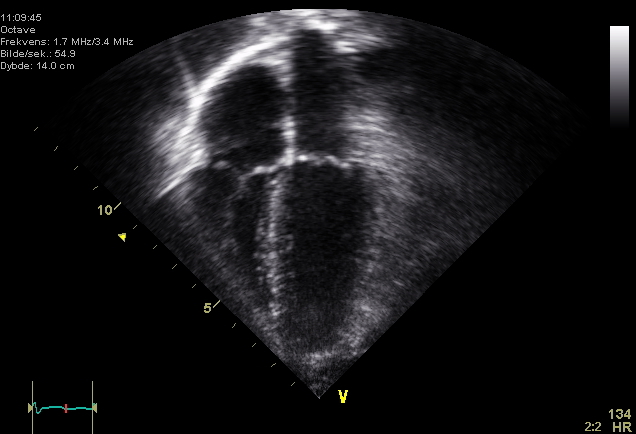 An echocardiogram an ultrasound test that visualizes the heart on a video screen. Similarly to ultrasounds used to visualize fetuses during pregnancy, an echo sends high-pitched sound waves through a device called a transducer. These sounds then bounce off the heart and create “echoes,” building a digital picture based on how these sound waves travel and resonate throughout the organ. These images appear on a screen that are analyzed by a physician. An echocardiogram can identify a host of heart abnormalities and diseases while being as minimally invasive as possible. This test is very adept at discovering the underlying cause for many heart-related problems that can be dangerous if left untreated. Your primary care physician may suggest an echocardiogram for your child if he or she suspects problems with the heart’s valves and chambers, or the heart’s ability to pump blood. An echo may also be conducted if a patient has unexplained shortness of breath, an irregular heartbeat or similar symptoms. If this is your child’s first echocardiogram, you were likely referred to a pediatric cardiologist after meeting with your primary doctor. The physician may request the test be completed at the cardiology center and results reviewed even before you leave the office. An echo usually takes between 20 to 30 minutes. To ensure the clearest images possible, your child must remain completely motionless while a doctor moves the transducer to different areas on the chest or abdominal wall. If the test is being performed on a baby, you may be enlisted to keep your baby as still as possible for best results. Once the echocardiogram is completed, your doctor will sit down with you and discuss what he or she observed on the screen. Pediatric Cardiology Center of Oregon is committed to caring for patients with cardiac conditions from fetal life to adulthood. Contact us to schedule an appointment today.